I love traditions. I’m not talking about anything which is covered in dust and lasted for hundreds of years. I’m talking about simple life pleasures which you call traditions as long as it is something you do repeatedly, hopefully with joy and pleasure. For about 5 years, we get together with group of friends for a weekend in August, which we call an “Adults Getaway”. The program for the “adults getaway” usually includes driving to an interesting small town within 200 miles radius, a wine tasting if there is a winery near by (doesn’t have to be a winery – one year we visited Hudson Distillery, for instance), a tasty dinner, a stay over at a nice B&B – but primarily lots great and fun time together. When it comes to the tasty dinner, we usually try to control that experience as much as possible – that translates into finding local restaurant which will be willing to host us and work with us to create tasting menu, and ideally, allow us to bring our own wine which we will of course pair with the dishes on the menu. 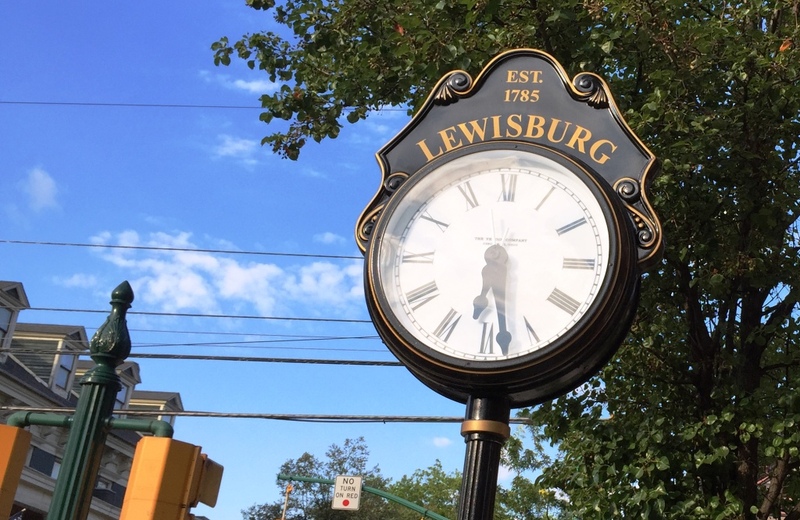 Few weeks ago we got together for our “adults getaway” at Lewisburg in Pennsylvania. Our “anchor” for the trip was visit to the local winery, Fero Vineyards, which will be a subject of a separate post. 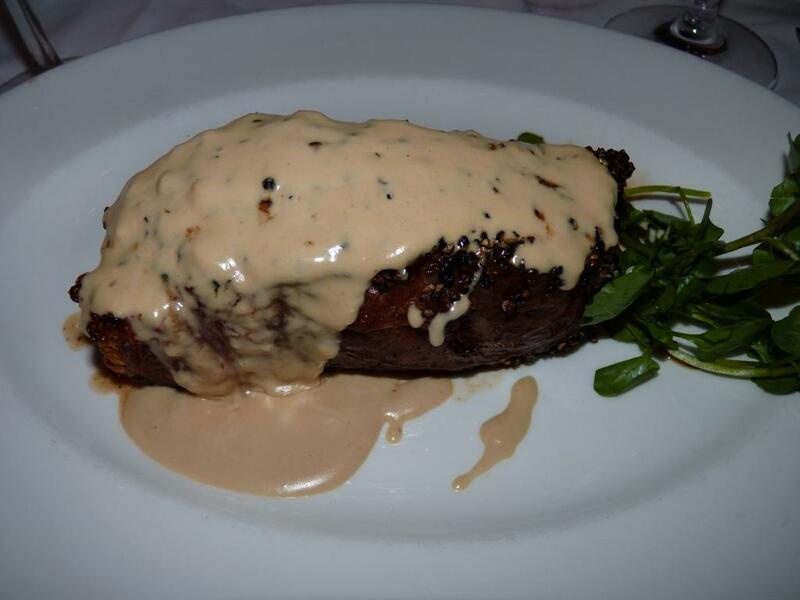 For the dinner we contacted a few local restaurants, and finally decided to have our dinner at Brasserie Louis. 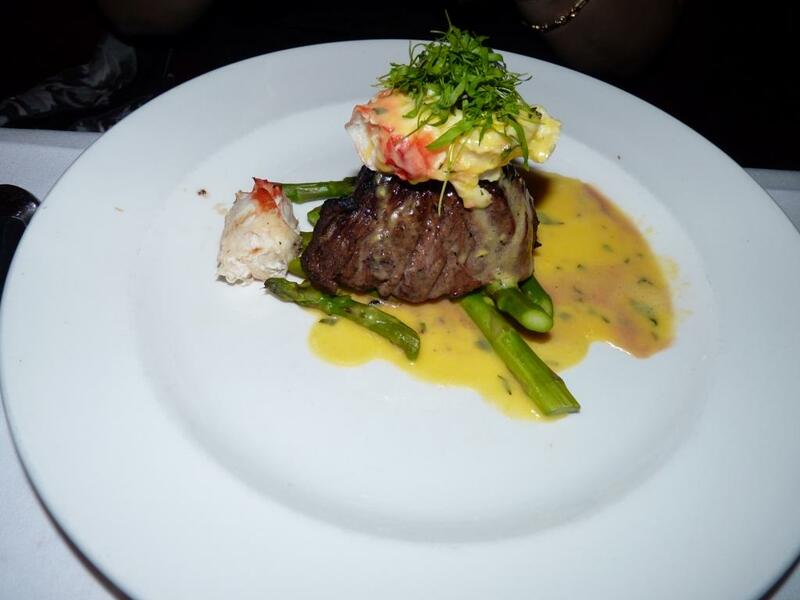 We didn’t have any specific dining theme in mind, and the suggested menu we received from Scott, owner of Brasserie Louis, exceeded our expectations – 11 different dishes – the dinner looked very promising. Now we had to decide on the wine pairings and go have fun. 11 dishes doesn’t mean we have to have 11 wines – we settled on 7 wines, as two of the desserts really were calling for the two different wine pairings. The day arrived and we all got together (overcoming some interesting difficulties, such as flat run-flat tire, which appears to be a serious ordeal, especially during long distance travel) and here is the account of the wine dinner with all the details. We started with Shrimp Ceviche (diced raw shrimp pieces in lime juice with cilantro, bell pepper, salt and pepper) – very nicely executed dish, great flavor, touch of heat. 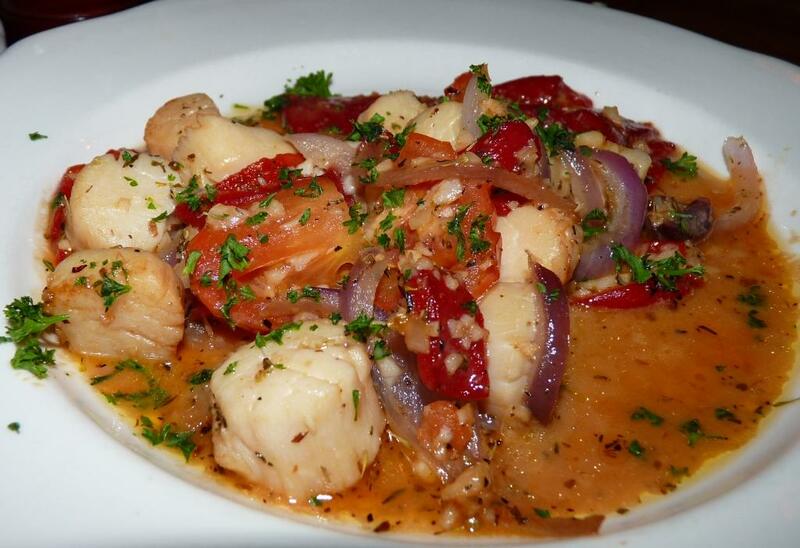 Our wine pairing was 2014 Fattoria Laila Verdicchio dei Castelli di Jesi DOC, Italy (13% ABV, $11) – wine had a good open profile with some flower and white fruit notes, but most importantly, it paired perfectly with the flavor of ceviche, complementing and enhancing the dish. 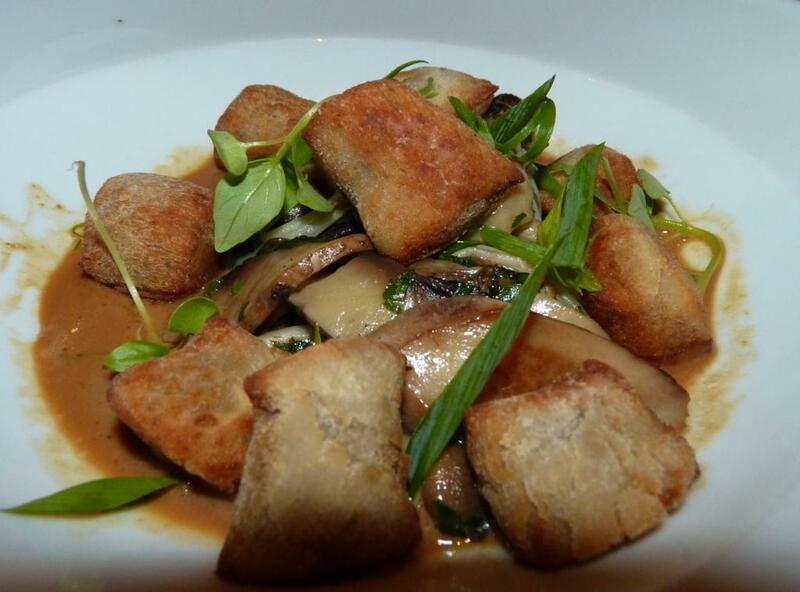 Our second dish was Wild Mushroom Tart (puff pastry with wild mushrooms, Gruyere cheese and shallots topped with greens and a balsamic glaze) – another excellent dish, with peppery arugula melding well together with the earthy mushrooms and adding lightness to the cheese. The wine pairing here was NV Anna Codorniu Brut Rosé, Spain (12% ABV, $13, 70% Pinot Noir, 30% Chardonnay) – one of my favorite Sparklers, Anna Codorniu always over-delivers, with good structure and good body. Here the pairing was also successful, with the wine complementing the dish very well. Our “in-between” dish was Harvest Salad (baby arugula with goat cheese, beets and candied walnuts tossed with a Champagne vinaigrette) – nice crunch, fresh, simple – and we used the same Anna Codorniu with this dish, and again, this was an excellent pairing. We started with Hand formed Crab Cake (lemon Beurre Blanc sauce, green pea risotto) – this was easily the best dish of the evening. You know how often crab cakes contain a lot of other “stuff”, various fillers (corn, peppers, etc)? This crab cake had just honest goodness of a pure, delicious crab meat – I only had anything similar in Maryland, which can be called a crab cake capital with its blue crab. 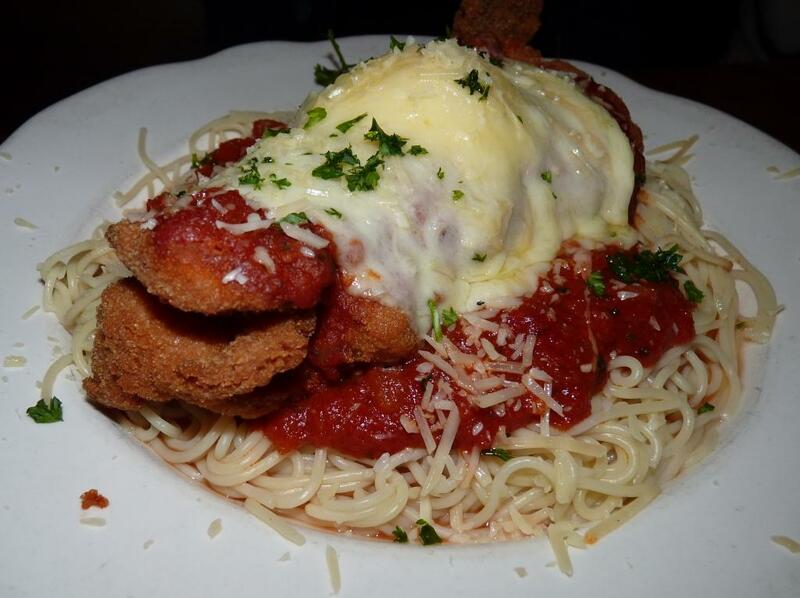 This was just a “wow”dish. Our wine pairing was also excellent – 2013 Jean-Luc Colombo La Redonne Cotes du Rhone, France (13.5% ABV, $20, 70% Viognier, 30% Roussanne) – Jean-Luc Colombo is a very good producer out of Rhone, and this was one of his higher end wines – plump, full bodied, silky – complemented mild crab cake flavors spot on. Next up – Black Sesame Crusted Yellowfin Tuna Steak (Yuzu teriyaki glaze) – the dish was nice and simple (tuna was a touch overcooked to my taste, I like it rare), and it paired very well with one of my all-time favorite red wines – 2013 Laetitia Estate Pinot Noir Arroyo Grande Valley, California (13.9% ABV, $20). Laetitia makes an excellent range of Pinot Noir wines, where Estate is an introductory level wine – which makes it perfectly ready to drink young. Delicious California Pinot Noir profile – smoke, plums, touch of earthiness – outstanding. 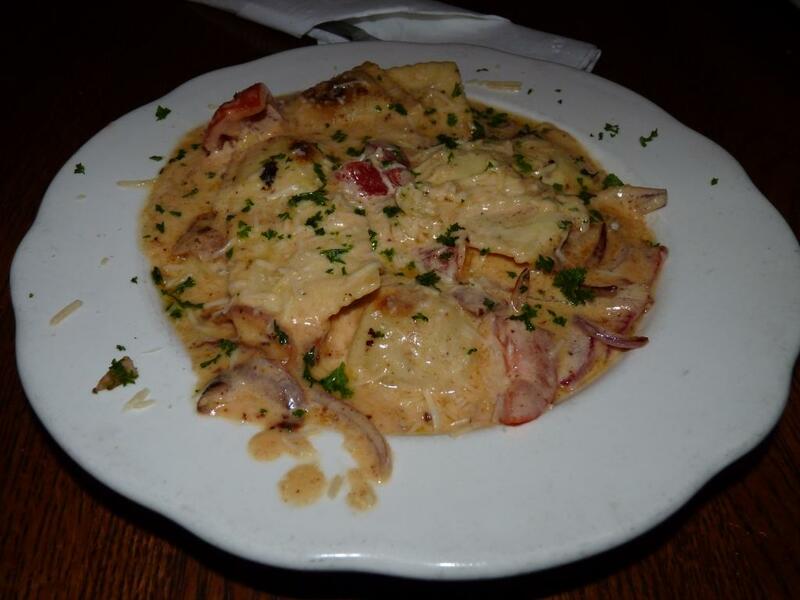 The pairing worked quite well by complementing and enhancing the flavors of the dish. We continued with Duck a l’Orange (pan seared duck breast, Grand Marnier reduction) – this was an okay dish (my piece of duck was slightly overcooked), but the sauce was excellent and fresh. We used the same Pinot Noir for the pairing, and wine and food worked together well. Taking a break from the proteins, our next dish was Ratatouille (Provencal vegetable stew of zucchini, squash, wild mushrooms, onions, tomatoes, eggplant and sweet potatoes, touch of Parmesan cheese). This was the dish where the mastery of the Chef combined with amazing Pennsylvania vegetables (I’ve traveled all over East Coast – nothing beats PA vegetables, I’m dead serious) to bring out simply a perfection on the plate – vegetables still had a crunch, and the whole dish was just another “wow” experience. Our choice of wine for the this and next 2 dishes was 2008 M. Chapoutier Domaine de Bila-Haut Occultum Lapidem Cotes de Roussillon Villages, France (14% ABV, $55/magnum). M. Chapoutier needs no introductions as one of the very best producers in Rhone, and this wine was outstanding – complex, with a touch of roasted flavors, great minerality, lavender. However, there was one problem – this wine didn’t pair well with Ratatouille, and it didn’t pair well with two other dishes. In some cases, it was indifferent (didn’t complement or contrast), and with Ratatouille it was even working against the dish. Well – it is what it is – we still enjoyed the wine and the food – just separately. Our next dish was Lamb Chops (herb mustard crusted rack of lamb, minted demi-glace) – meat was nicely cooked, and of course lamb and mint jelly is a classic combination. 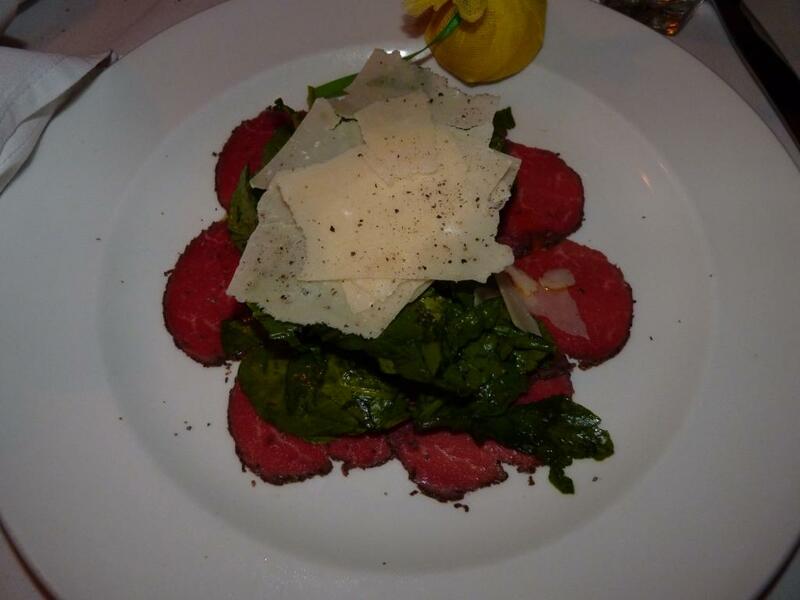 We finished our main course with Filet Mignon (grilled filet, scalloped potatoes and wilted spinach, truffled veal demi-glace) – the presentation was very interesting, with the steak knife put directly into each piece of the meat. 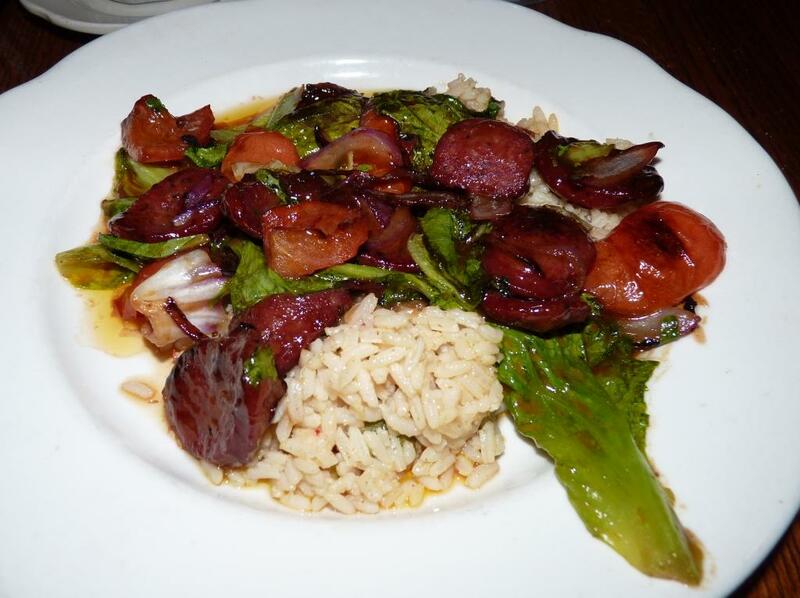 The meat was cooked very well, and overall dish was tasty. And this was probably the only dish where Cotes de Roussillon wine paired marginally acceptable. Finally, we are at Dessert! We had two desserts to finish our evening. Strawberry Zabaione (egg yolks, sugar, Marsala wine, fresh strawberries) was very tasty and not too sweet. We paired it with NV Tütidì Brachetto Piemonte DOC, Italy (7% ABV, $12/1L). Brachetto is a lightly fizzed wine with a nice fruit notes, and it perfectly complements wide range of lighter desserts – and this was a case of a perfect pairing – they were delicious together. We finished our dinner with Flourless Chocolate Cake, which was paired with Mount Palomar Limited Reserve Port, Temecula Valley, California (18% ABV, $38). Port and Chocolate – do I need to say more? 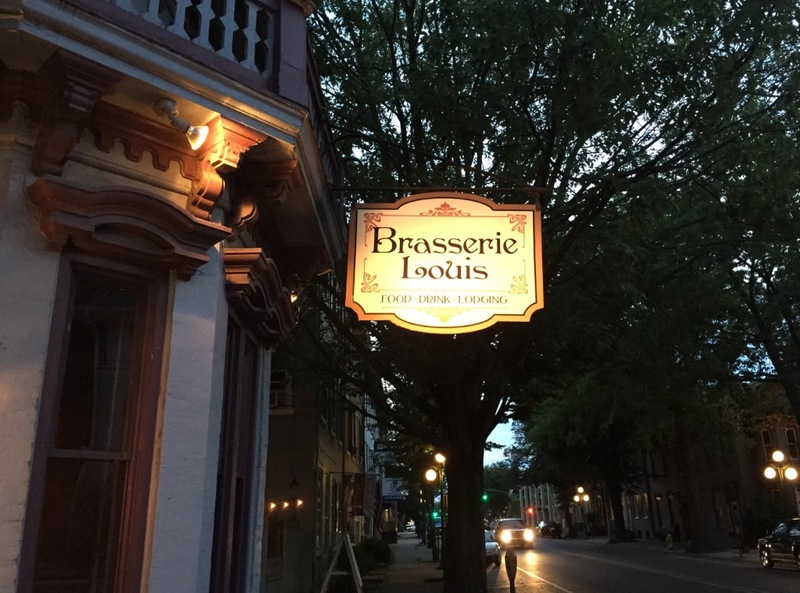 There you have it my friends – our wine dinner at Brasserie Louis in Lewisburg, Pennsylvania. What is left for me to do here is to say Thank You to the owner Scott, Chef Chris Rubino and all the staff at the restaurant who made sure we will have a great time. Cheers! Can Angry Chef Make Good Food? 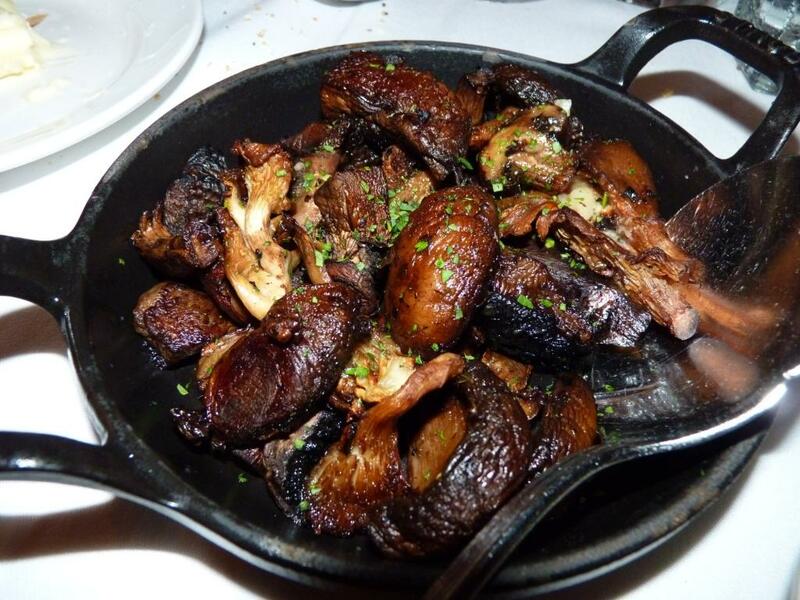 Cafe Pinot in Los Angeles – a Delightful Experience! Don’t know about you, but when I visit restaurants at home or being on the family trip, I usually like to do my homework and know where I’m going and why (which is still no guarantee of a great experience, though). When traveling on business, I usually leave it up to luck. And sometimes that works quite well, as in the case of the Cafe Pinot in Los Angeles. Let’s start with wine. 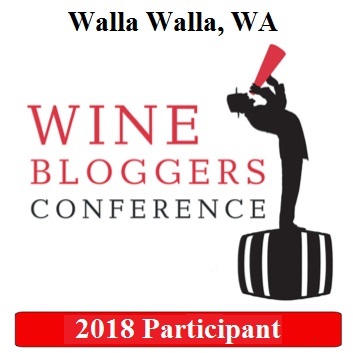 I really liked wine list – very well organized, and while it had good number of wines, it was easy to navigate – and it had a lot of good wines in the sub $50 category, which is always great. I also was happy to learn later on that I’m not the only one who liked Cafe Pinot’s wine list – restaurant holds Wine Spectator’s Restaurant Award! We chose Turley Old Vines Zinfandel 2008 ( $68), simply because Turley Zinfandels are typically 1. good wines and 2. rare and hard to find, on wine lists or in the stores. 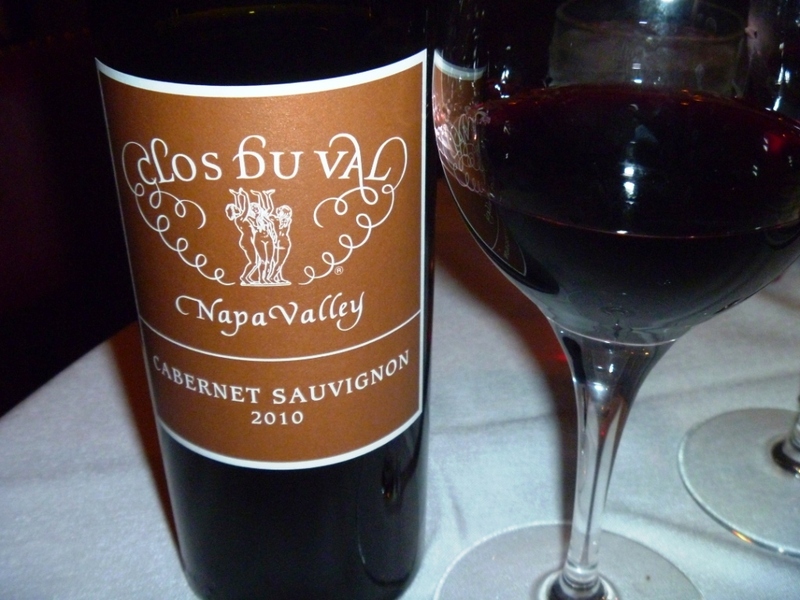 We were very happy with the choice – this was a beautifully structured wine with all the Zinfandel fruitiness and acidity being in full balance ( I would put my Drinkability rating at 8). Also 15.6% ABV was completely unnoticed, at least until later. The dish included red, white and yellow beets complemented by ruby grapefruit, pistachio, Humboldt Fog goat cheese and watercress – for someone who likes to experiment with food taste combinations – almost a heaven! This dish starts with the beautiful presentation, when the paper (“en papillotte”) is cut in front of you after plate is delivered to the table, so this way none of the enticing flavors can escape before the time. 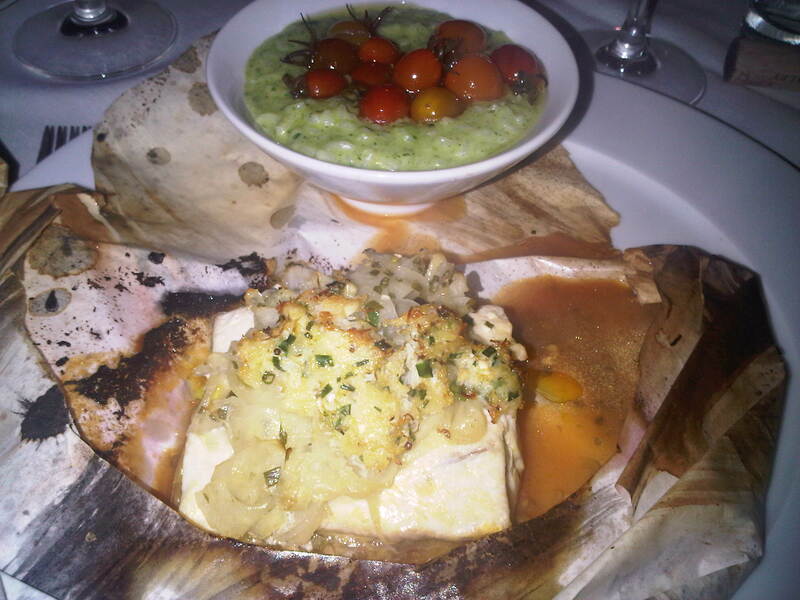 Again, great dish with great combination of flavors (risotto’s texture – ahh!). To end this story (and, probably, you drooling over it), if you are a foodie – or even not, and you are heading to Los Angeles – make sure you will not miss great experience at Cafe Pinot. It seems that I’m looking at good prospects of visiting Finger Lakes region of New York quite often over the next four years ( my daughter just started a college there), so I’m gladly taking the opportunity to talk about food and wine in that beautiful part of the country. 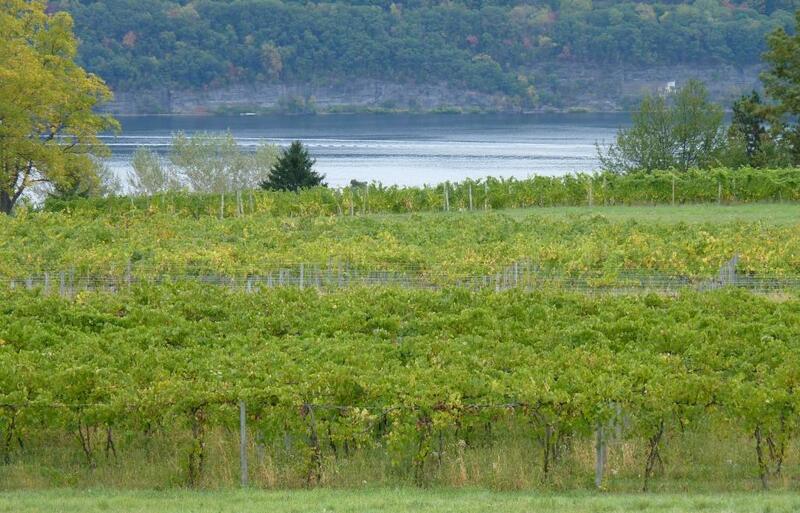 Finger Lakes region is well known for its multiple wine trails. For a long time, the region was mostly known for it’s Riesling wines, and then white wines, such as Chardonnay and Gewurztraminer, now it is slowly changing with the grapes such as Cabernet Franc, Chambourcin, Baco Noir producing interesting wines. Few notes about the wine: it was great to see a wine list fully composed of local wines – I think it is great when local food is complemented by the local wine. We chose Long Point Ciera Rose 2009, simple and pleasant wine, as it was working well with the variety of dishes we ordered. Another place we stopped at was Castel Grisch winery. Located in a very picturesque place, the winery offers magnificent views of the lake and surroundings. As we made it to the winery, of course, I had to try the wines. I did try most of the wines, except the ice wines, and unfortunately, I didn’t find anything I like, except Gewurztraminer 2007, which was actually done in Alsace style – dry wine with very nice floral and spice expressions. 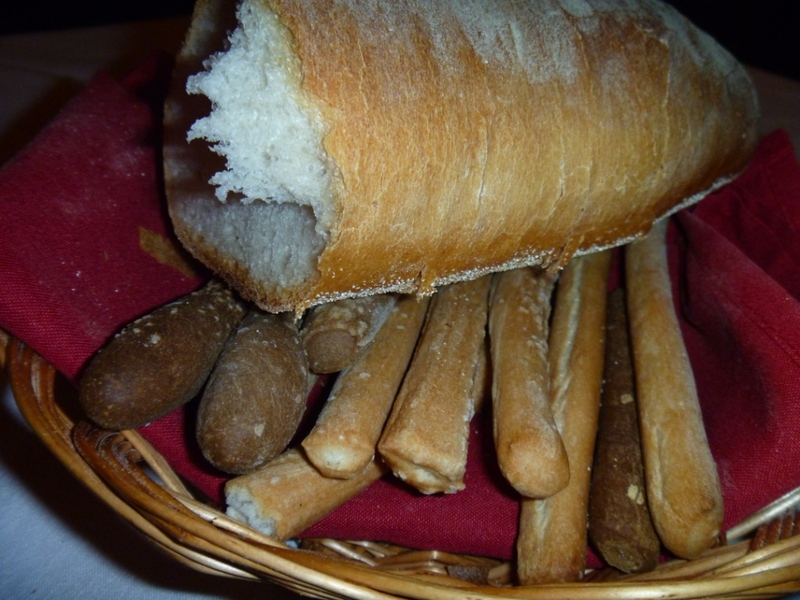 In addition to the winery, Castel Grisch also operates a very nice restaurant, with a good selection of sandwiches and hearty soups, such as Hungarian goulash soup. I would definitely come back there for the food, but most likely not for the wine. This would effectively conclude the post. As we had good success with the food, I will make an effort to find good wines – I’m sure I will, as I have plenty of time… And until later – Cheers! It is interesting how we experience things in life. Some things just happen, and some are long planned and anticipated, may be for no reason at all (as long as we get the experience we want before we cross the finishing line, we are doing good, right?). Same as Norton grape on my “to try” list for a long time ( see my last post on the subject), The Capital Grille was on “to visit” list also for a while, at least from the moment the restaurant opened in Stamford. So finally this experience came through due to a combination of good circumstances – we had a good reason to visit (our anniversary), The Capital Grille was participating in Stamford Restaurant Week (as the restaurant is expensive, that makes it a lot more affordable), and The Capital Grille was running Master Wine tasting event, with 11 wines assembled by The Capital Grille’s Master Sommelier George Miliotes (you know by now that wines come first in this blog). So we decided that we have a great opportunity to see where “we wine. we dine” motto of The Capital Grille will take us, and there we went. What a great experience! (should a declare this post complete?). From food to wine to service we had a great time all the way. 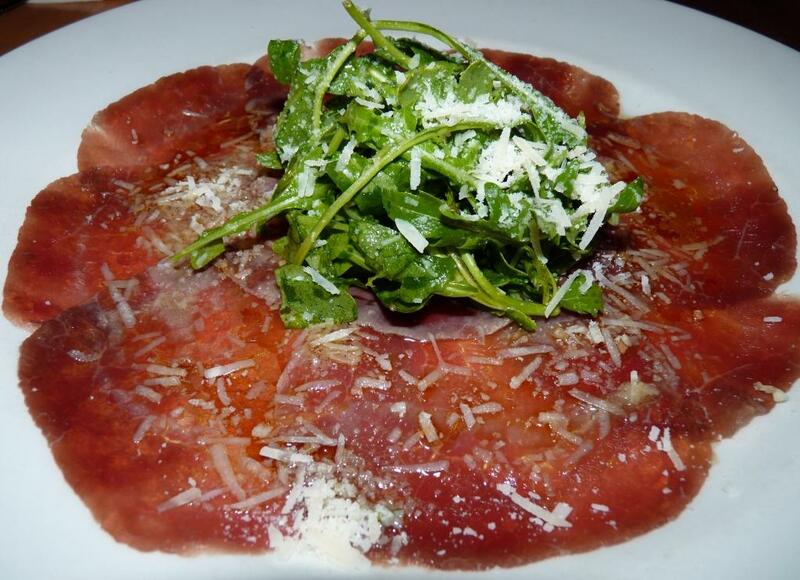 Talking about food, Wagyu Beef Carpaccio appetizer had an incredible flavor profile combining razor thin slices of Wagyu beef, Parmesan cheese and fresh arugula. Next, I have to say that nice thing about ordering steak done to your liking is that in addition to the standard scale of rare-medium-well done you can specify something like medium-rare plus, which is more than rare but less that medium – and then it is even better when you get the steak precisely the way you wanted ( yeah, I know, this is what we typically expect – but how often our expectations had not being met?). All four steaks had being done perfectly as requested, and the sides were outstanding (for the personal taste, Roasted Mushrooms had being my favorite). Now, let’s talk about wine. 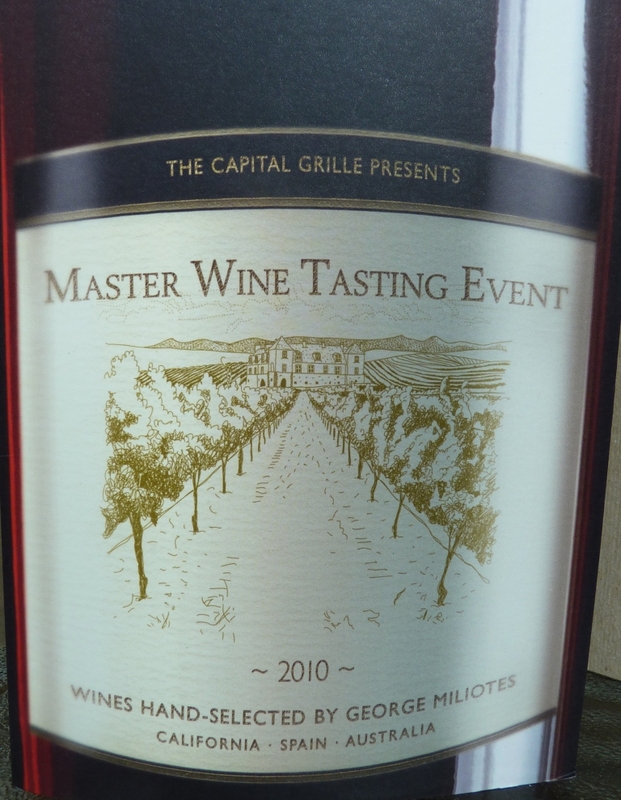 The Master Event selection included 11 wines from California, Spain and Australia, which in turn consisted of 6 reds, 3 whites, sparkling and a dessert wines. I was pleasantly surprised to see a number of wines from 2003 and even 2002. All the wines were very good, and considering that the price of the Master Wine Tasting event was $25, I believe it presented a great value. 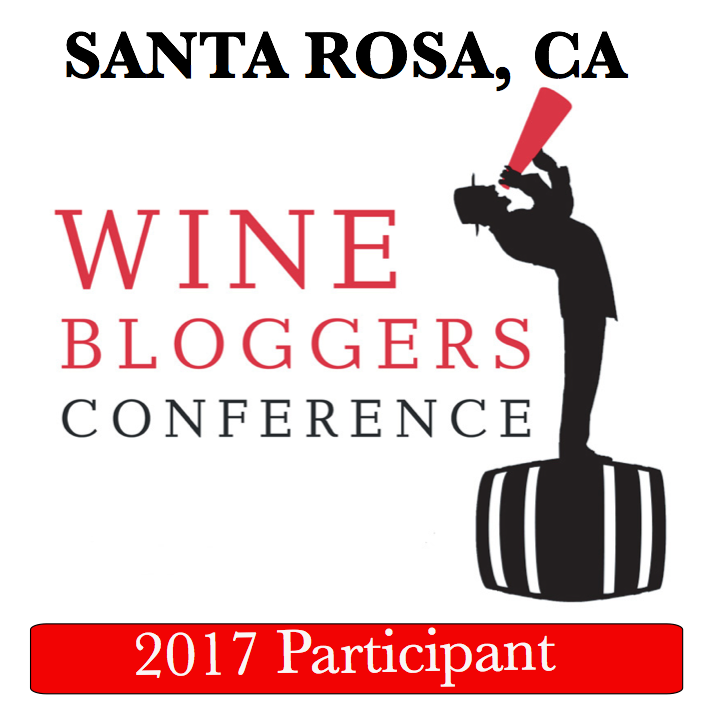 As this is mostly a wine blog, let’s take more detailed look at the wines included in the this tasting (I’m going in the actual order of tasting). For what it worth, each wine has a “drinkability” rating attached. 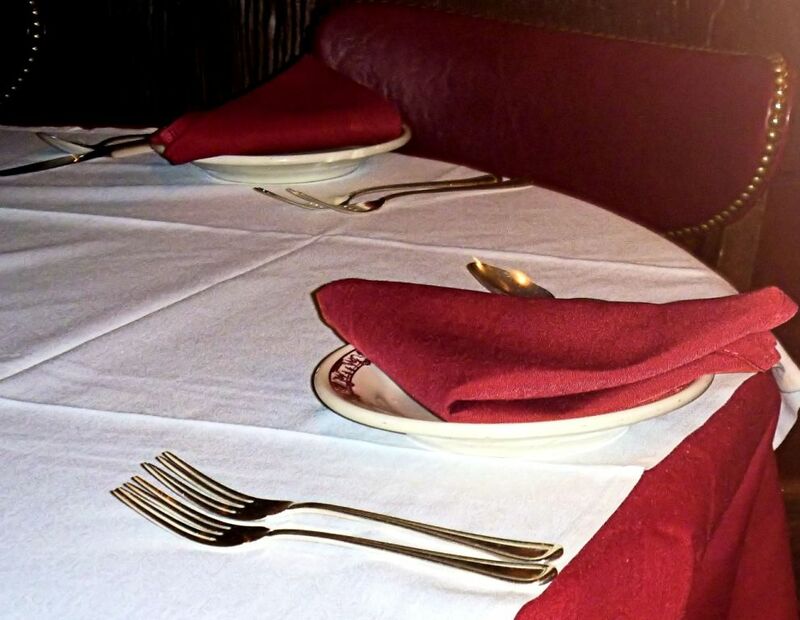 As I mentioned before, service was excellent, thanks to Mike Sabini – all the wine and food was showing on time and in proper order. All in all – there are still few days left in both Master Wine Tasting and Stamford Restaurant Week programs – get up and go, use a good opportunity to experience great wine and food – in the words of Capital Grille, wine and dine. To begin with, I would like to state that by no means I plan to become a restaurant critic and compete with Zagat. But as this blog is about wine, food and life, visiting a restaurant provides perfect mixture of all three elements. On the way to the the airport, thanks to my another dear friend, Pablo, I was again lucky to experience great food and wine, this time at the place called Dixie Grill Bar. It might be a tourist notion, but same as in the case of Le Champa Del Mar, I believe you have to actually know about that place in order to get there. Coming from outside, it is hard to tell there is a restaurant behind the wall. Inside, the place looks simplistically stylish and has very nice ambiance. 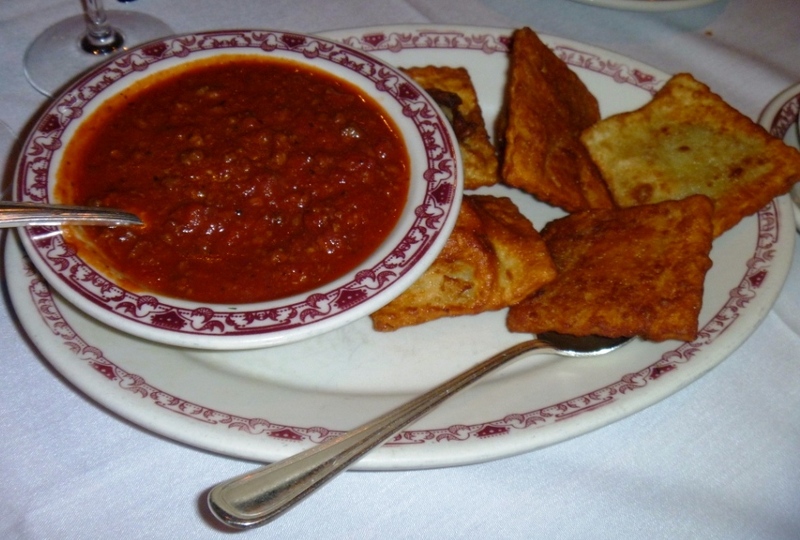 The only thing which is out of place, in my opinion, is paper napkins instead of actual cloth napkins – I would not even think that I will pay attention to something like this, but it appears that I do. Few more notes about this wine. First, it is available in US, so it would be possible (and worthwhile) to find it. 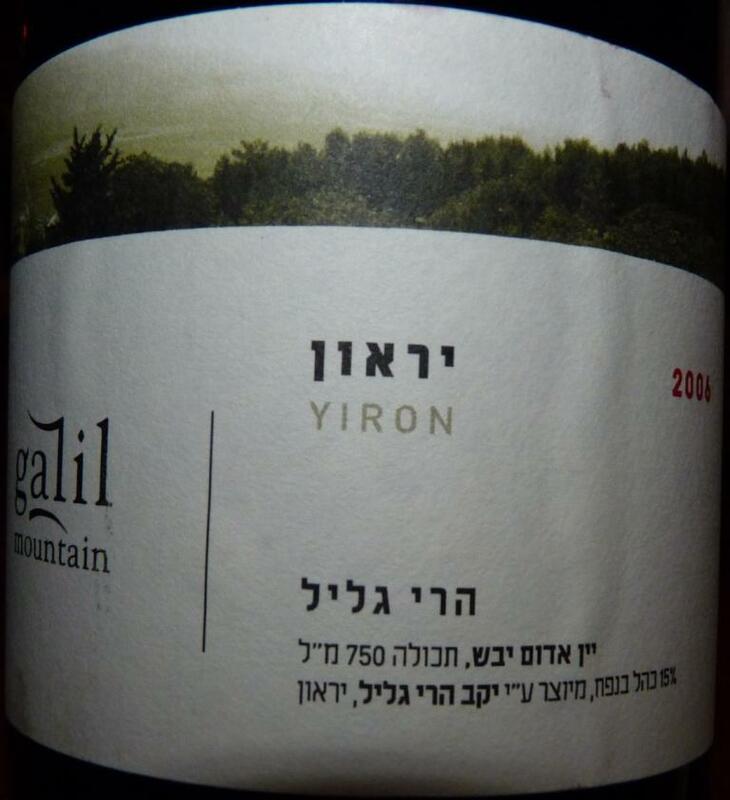 I also want to mention that Daniel Rogov, famous Israeli wine critic gave this wine a 91 rating ( which is good). And on the subject of Israeli wines, Gary Vaynerchuck, a wine internet celebrity from Wine Library, recorded an episode on Israeli Kosher wines with Daniel Rogov, and you can see it here. Let me start from a thought, which is not original at all – it is great to have friends (huh, wow, who would’ve even thought, right? :)). My dear friend Kfir, was taking an amazing care of me in Israel, ensuring the culinary experiences. After the great time at Norma Jean, he brought me into another one of his favorite places – Le Champa Del Mar, cava bar. The place is more or a less a hole in a wall – you have to know where you are going in order to get there. 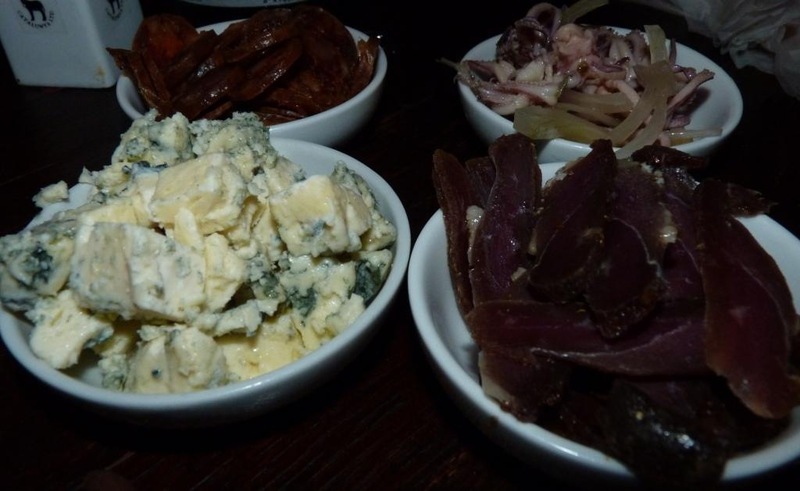 Once inside, you will find a bar and a few tables – and lots of delicious foods in the perfect bar format – tapas. In the best traditions of the Spanish cuisine, there are lots of great choices, all in the tapas, or “small snacks” format – cheese and olives, octopus, chorizo, Serrano ham and so on and so on, all watered down with variety of Cava – a sparkling wine from Spain. 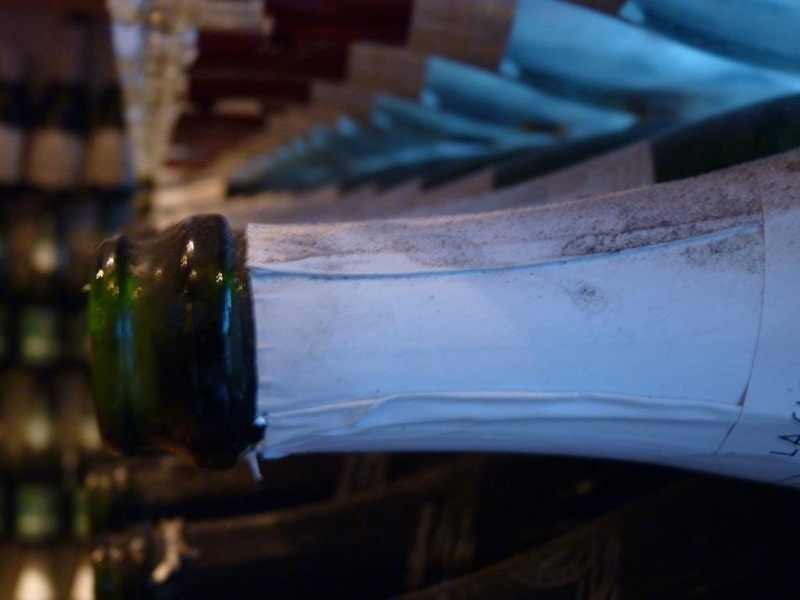 Cava is the only wine served at Le Champa Del Mar, hence the name “Cava Bar”. 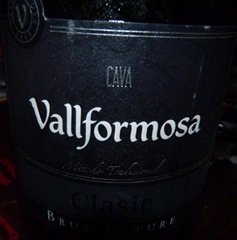 There is about a dozen of varieties, starting from simple Brut and going into Reserve Cavas. The great thing about Cava in general is that while the bubbles a slightly bigger than in the classic champagnes, it typically has more life in the glass compare to the equal level of champagnes ( and a lot cheaper!). We had a Brut Nature Classic and Brut Rose Classic, coming from Vallformosa winery in Spain. While Brut Rose tasted somewhat flat, Brut Nature had a great balance of acidity and yeasty fresh bread flavours, perfectly complementing “full-bodied” tapas (in case anyone is interested in my rating, I would put Drinkability at 7). I guess the only issue was the fact that all those Cavas where way easy to drink, and therefore disappearing very quickly… But we managed to overcome this challenge quite successfully. 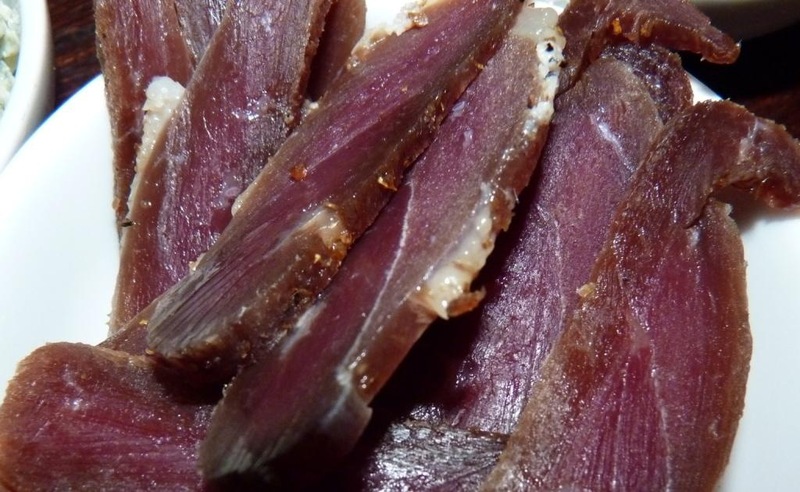 Smoked duck breast – very delicious! Just to conclude – another great place for food and drink – find it and enjoy!